AGC Drones is the Caribbean’s premier industrial drone company. Our experienced team offers aerial data capture for industrial inspections and mapping. We provide consultation and customized training services. 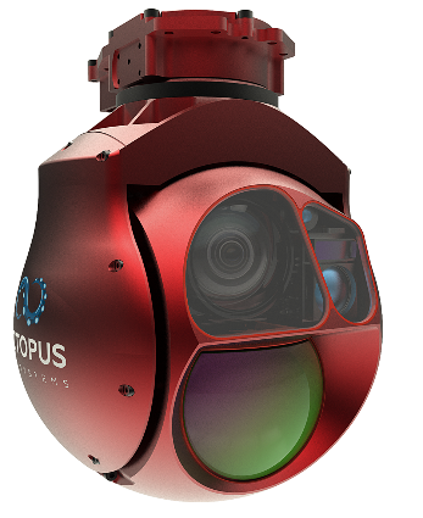 Surveillance Drone and Sensor Payload Sales to Military and Law Enforcement are also available through our manufacturer partnerships. Operating Safely is Paramount. ABS-B equipped Transponders are also available for Drones and Light Sport Aircraft to enable situational awareness and separation from other aircraft. The transponders communicate with ATC and other aircraft to enable extended and beyond visual line of sight operations. Industrial and Commercial Facility Asset Audits. Airport Pavement Inspections. Industrial Facility Maintenance. Wind and Solar Farm Maintenance. Construction Planning and Monitoring. We also provide Consultation and Planning Services for selective clients wishing to secure their assets and operations. AGC Drones is an authorized agent of commercial surveillance drones, sensor payloads, and avionics. AGC Drones also has advanced drone technology and techniques for industrial asset inspection and interactive modeling. Our online client portals provide secure access to industrial inspection reports with interactive models, rust severity, and tabular data. Tethering conversion is also available for several consumer drone platforms to include: DJI (China), Yuneec (USA), AceCore Technologies (Netherlands), Flydeo (Czech Republic), and MicroDrones (Germany). The Penguin C is a long-endurance, long range unmanned aircraft system designed for professional use. Its flight endurance of over 20 hours and operation radius of over 100 kilometers or 60 miles makes it an extremely productive unmanned platform in terms of distance traveled and area covered in a single flight. The entire system with 3 UAVs, operated by a crew of two, fits in a minivan, and it can be assembled in less than an hour. Its portable launcher and parachute recovery system allows for runway-independent operation and unmatched portability in its class. The Epsilon 140Z has state of the art onboard image processing capability. The onboard processing leads to a rock-solid target tracking performance and eliminates any communication latency issues. Its processed video reduces the data rate and requires lower bandwidth datalinks, which is of an extreme importance for modern UAVs. This unit has both a day and night integrated sensors, ultimate stability at 30x optical zoom, and supreme image quality with 720p HD sensor. Surveillance Sensors can also be configured for existing aircraft and rotorcraft under Federal Aviation Administration (FAA) Supplemental Type Certificate. This facilitates cost effective aircraft capability upgrade to meet your unique needs. A supplemental type certificate (STC) is a type certificate (TC) issued when an applicant has received FAA approval to modify an aeronautical product from its original design. The STC, which incorporates by reference the related TC, approves not only the modification but also how that modification affects the original design. UAV Factory is one of the world’s leading developers of fixed wing composite airframes, subsystems and accessories for small fixed wing unmanned aircraft industry. AGC Drones is proud to be an authorized sales agent of UAV Factory's drones, sensor payloads, launch and telemetry systems, and ground control stations. We welcome inquiries from governments, diplomatic corps, and private security organizations. Eagle Eye Innovations Ltd are a team of ex-MQ-9 Operators who specialise in consultancy, training, support to operations, and contracted turnkey ISR solutions of Unmanned Aerial Systems (UASs) ranging from Small UAS (SUAS) to Medium Altitude Long Endurance (MALE) Remotely Piloted Aircraft Systems (RPAS). uAvionix develops the world’s smallest, lightest and most affordable ADS-B transponder, Ping. When installed in drones and small manned aircraft, these devices promote situational awareness among equipped airspace users, so that manned airplanes, air traffic control, and drone operators can "see" each other. This technology reduces the likelihood of unauthorized airspace use while improving safety, transparency, and industry growth. AGC Drones is proud to be an authorized re-seller of uAvionix equipment! ctrl-sky Drone Detection and Neutralization System is a multi-sensor counter-drone system that is able to detect, identify and mitigate intrusive drones. Operation in all weather conditions, detects drones with RF communications disabled, reliable operation in urban areas, effective thanks to the combination of several types of sensors, available in stationary and mobile versions.